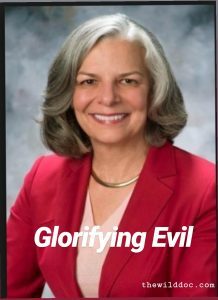 The announcement by the Healthcare Businesswomen’s Association (HBA) that Dr. Julie Gerberding would be hailed as their 2018 HBA Woman of the Year (WOTY) should infuriate anyone with knowledge of her serious neglect of our children. Dr. Julie G. “served” as the former director of the Centers for Disease Control and Prevention (CDC) from 2002 – 2009. Meaning she was the CDC director during the time for which the CDC conducted its fraudulent research study published in the 2004 Journal of Pediatric. Which we now know as a result of confession and sworn written statement by CDC scientist Dr. William Thompson. In that written statement which a PDF with significant points highlighted is provided with here we can all see that Dr. Julie G. was contacted by Dr. Thompson giving her full knowledge of the true result of that data showing a “HUGE” statistically significant indication that the Measles Mumps Rubella (MMR) vaccine was causing Autism. Age at first measles-mumps-rubella vaccination in children with autism and school-matched control subjects: a population-based study in metropolitan Atlanta. Rep Bill Posey on CDC Whistleblower: Rep Bill Posey received omitted data from CDC scientist William Thompson revealing MMR Autism link in minority children under age 3.